The Santander Master's Scholarships (funded by Santander), aim to assist the most academically able students from leading universities to pursue a Master's programme at UCL. UCL has been in partnership with Santander Universities since 2007, providing UCL students and staff with numerous benefits and opportunities which range from study abroad experiences to awards for non-academic achievement. • Hold an offer of admission to a one-year, full-time UCL Master's programme, starting in the following academic year. 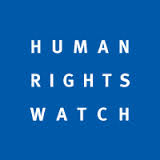 The Legal & Policy Office of Human Rights Watch (HRW) is seeking a full-time intern to join the team on the case against Hissène Habré. HRW has been working for 13 years with the victims of Chad's exiled former President, Hissène Habré, to bring him to trial. The internship will last a minimum of six months, starting in August 2013. The intern will be supervised by HRW’s Counsel. The internship will primarily focus on liaising with HRW’s partners in Senegal and Chad, drafting advocacy letters and press releases, monitoring press and events and assisting with research. This internship is unpaid. Some lunch and local travel costs may be reimbursed as pre-approved by HRW and in accordance with HRW policy. Students are often able to arrange academic credit, as HRW internships often offer direct exposure to the workings of an international human rights organization, close supervision by the HRW staff, interaction with other international organizations and foreign and domestic government officials, and opportunities to attend lectures, trainings and special events relating to human rights. Students should check with their individual academic institutions for requirements. The internship is open to law students, law graduates, and graduate students with expertise in international criminal law or international relations. Applicants should be well-organized, self-motivated, and reliable with a strong interest in human rights. Oral and written fluency in French and proficiency in English is required. Please apply immediately by emailing a letter of interest in English or French, a resumé, two names or letters of reference and, if possible, a brief, unedited writing sample in French or English to habre@hrw.org. Please use 'Habré Internship Application – Summer 2013' as the subject of your email and specify your dates of availability. Due to the large number of applications, only short-listed candidates will be contacted further. The promise posited by human rights, derived as a concept inspired by the intrinsic dignity of human beings, and as an effective tool to combat inequality and the abuse of power, is in crisis. The daily news on the use of human rights to protect persons who are a threat to the survival of the State and its citizens, the alleged misuse of human rights to consolidate rather than fight undue privileges, the portrayal of human rights mechanisms as a ‘foreign regime’ hampering national democratic processes, and the antagonisms of States such as Brazil and the United Kingdom towards regional human rights systems of protections they once helped to create and embraced, denotes that it is not only the economy facing a confidence crisis. Today we are confronted with unfair consequences of structural adjustment programmes, uneven impact of trade liberalisation, side effects of the protection of intellectual property regimes, and in the midst of this, a renewed perception of human rights as a neo-colonial tool to implement hidden political agendas. 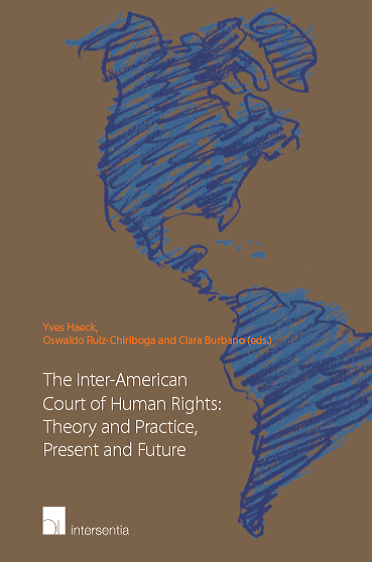 Mistrust of the international human rights regime, often voiced by countries in the South as attempts to undermine their sovereignty, are increasingly being augmented by the voices of Western States such as the UK and the USA. This is illustrated by the reluctance of the United Sates to ratify the UN Convention on the Rights of the Child, the UN Convention on the Rights of Persons with Disabilities and the failure to allow unfettered access to human right mechanisms, or to investigate the situation in Guantanamo Bay. 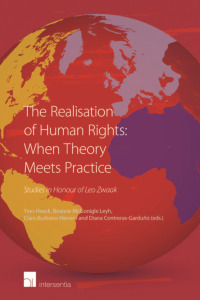 More recently it underpins British posturing towards human rights treaties and their implementation, with the latest opposition being its resistance to implement the European Court of Human Rights’ decision regarding prisoners’ rights to vote. The third part will focus on emerging themes and challenges represented by the applicability of the human rights framework, with the activities undertaken by corporations, and the relationship between development projects, the environment and human rights driving the discussion during the last day. The course is aimed at undergraduate and postgraduate students with an interest in human rights, international and domestic civil servants, and organisations engaged with international and national human rights monitoring bodies and processes. It would be of particular interest to journalists and those interested in understanding the different strategies for the promotion and protection of human rights.